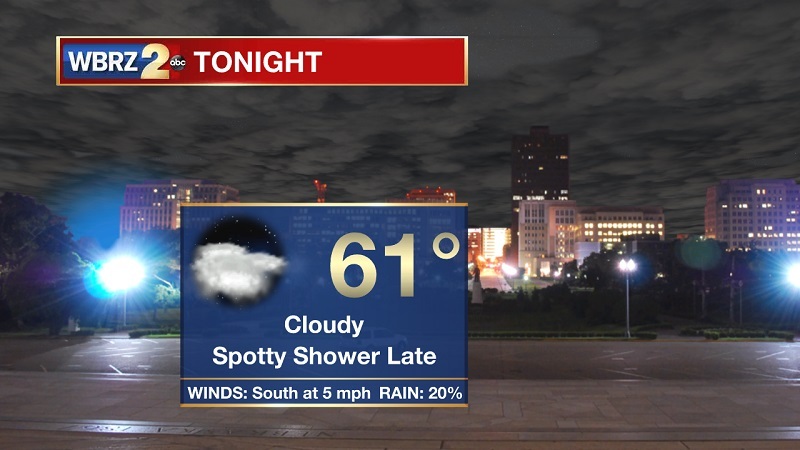 Tonight and Tomorrow: A cloudy and muggy night ahead, as areas of drizzle become possible through the overnight hours. Temperatures only dropping near 61° into Monday morning, with light winds shifting from the south. Patchy fog will begin to develop after midnight, and will finally burn off around 9 AM Monday. Temperatures will be warming quickly through the morning, breaking into the low 70s by 11 AM. Highs will be reaching around 76° during the afternoon, as shower chances slowly increasing into the evening. 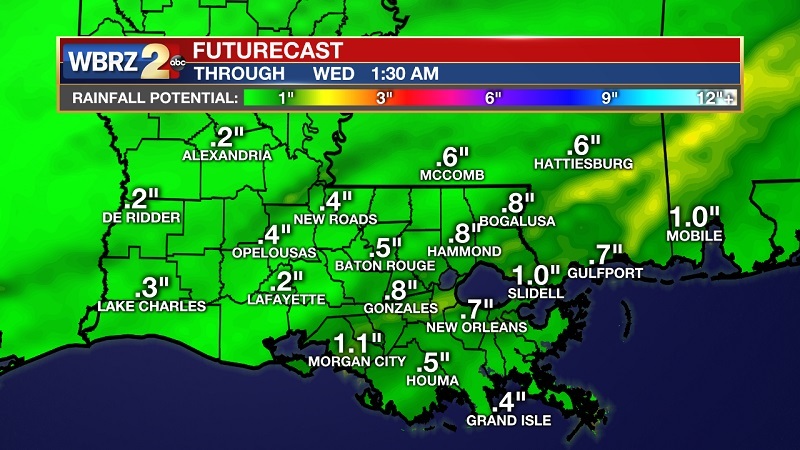 Heavier rainfall and the potential for storm activity will move in from the west late Monday night. 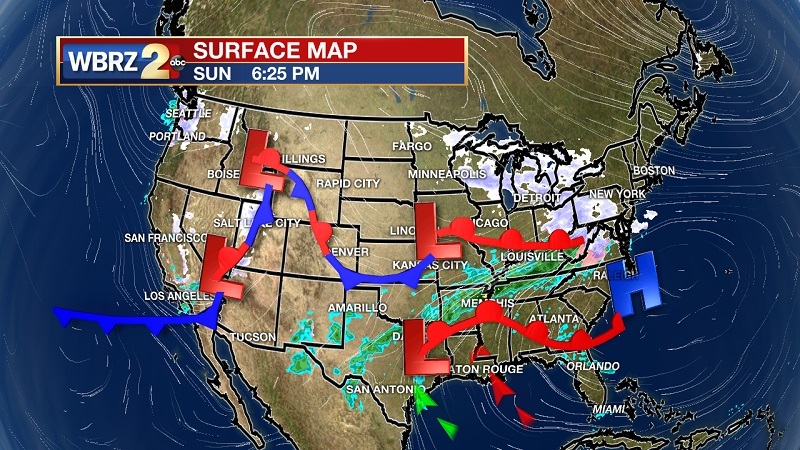 Up Next: A robust system will be passing overnight Monday into Tuesday morning, with strong storms possible. Conditions improving through Tuesday and Wednesday, but showers will return Thursday and Friday. Temperatures will stay above average through the workweek, hovering between the mid-60s to the low 70s. A strong cold front will be approaching over the next 24 hours from the west, with pre-frontal showers initializing through the day on Monday. Rainfall amounts will be increasing overnight into Tuesday morning, with the potential for strong storms until 9 AM Tuesday. Lingering showers will still be possible until noon, but should be tapering off rather quickly as the line of moisture departs to our east. High pressure will be sitting in through the afternoon, breaking up clouds and allowing for cooler temperatures into Tuesday night. Lows are forecast to drop into the upper 30s into Wednesday morning, with dry conditions briefly staying through the day. Another cold front will bring showers back into the picture through the afternoon on Thursday, but the bulk of the system will stay well to our north. Isolated showers with minimal accumulations will occur with this event, as drier conditions return in time for the weekend.